http://www.pitts.emory.edu/Archives/text/rg026.html the link is the Emory U collection of UandU material from Atlanta - it tells a slightly different story than has been mentioned earlier here. Rev W. C. Bowman started an Universalist church in Atlanta in 1879, it lasted a year. Father Clayton in his autobiography mentions that Bowman left after one sunday service to become a spirtualist - leaving Clayton to edit the Atlanta Unversalist weekly newspaper! Rev Q. H. Shinn was next starting in 1893, leading to the formation in 1895 of the First Universalist Church of Atlanta. 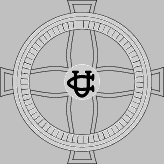 They merged with the Unitarians on November 14, 1918 to become the Liberal Christian Church, and moved over to the Unitarian Church building in 669 W. Peachtree St. In 1944, they broke away from affliation with the Unitarians (dunno about the Universalists) due to disagreements over segregation. In 1951, the AUA sold the building out from under the congregation. In the Spring of 1952, the AUA send Rev. Glen Canfeld to restart the United Liberal Church (as it had been known since 1927). The last Universalist Register i have is from the 1930s, and it was affiliated then. Emery has board minutes of the FirstU from 1900-1907, and Mission Circle Minutes from 1897-1899, as well as a history of Universalists in Atlanta. hosted by the members of the YPCU at Burruss Memorial Universalist Church near Ellisville Mississippi. Mississippi: from Burruss and 2 from Our Home Universalist Church near Laurel. Charles Herrington was president of the Burruss YPCU. Dr Ward hopes to have the 1938 conference at Camp Hill.